A truly enjoyable read, with a strong plot and likeable characters. Tricia Goyer and Sherry Gore come together to create a delectable story with a delicious recipe at each chapter - what more could an avid Amish fiction fan want!? Twenty-five year old Lovina has a dream - which is quite different to the dream that her mother has for her and her four lovely sisters. 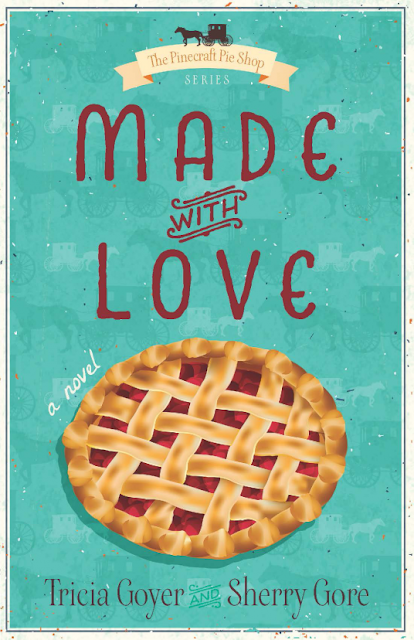 Lovina dreams of opening her own pie shop in the small community that they've recently moved to, only she can't find a place that would be suitable to house it. And when she does, its so run down that she wonders whether her father will approve - let alone act as guarantor. Noah Yoder has a secret - a secret he's being blackballed for. He made a grave mistake in his teens and is trying to make amends by taking on his troubled cousin and his friends. He's hoping people in Pinecraft would be more understanding, but it seems he was wrong - the Amish grapevine travels just as fast as any other, even without the modern technology. Does Lovina's father approve of her choice of building, and will he act as guarantor? Will Noah ever make amends for the mistakes of his past? Will Lovina choose the dashing farmer Thomas, or the reformed bad boy Noah? And what of Lovina's mother, will she ever grant her approval for the choices Lovina is making?